Obituary – Burgess, Dwayne Roy « Perry High School Alumni Association, Inc.
Dwayne Roy Burgess went to his heavenly home on Tuesday, June 12, 2018. He was 65 years old. Traditional tribal services will begin on Wednesday evening at the Otoe Baptist Church of Red Rock. A funeral service, under the direction of Grace Memorial Chapel, will be held on Saturday, June 16, 2018 beginning at 11:00 a.m., also at the Otoe Baptist Church. The reverend James Kenner will officiate the service. Burial will follow later at the Veterans National Cemetery of Fort Sill in Elgin, Oklahoma. Military honors will be held at the cemetery. Pallbearers for the service include Brent Burgess, Ryan Burgess, Devon Burgess, Agustus Robedeaux, Burton Jay Miner, Jr., and James Robert Hughes, Jr. 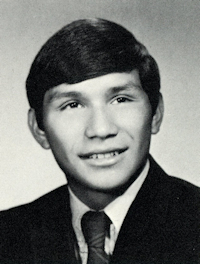 He was born on March 28, 1953 in Pawnee, Oklahoma to Roy Algernon Burgess and Delores Coleen FawFaw Burgess. Dwayne loved music. He had vast knowledge of many genres but was partial to Jackson Browne. He enjoyed spending time outdoors and discussing philosophy and theology. He was a member of the Otoe-Missouoria Tribe of Oklahoma. In 1972, Dwayne joined the US Army in Oklahoma City. He faithfully served his country for two years. Dwayne is survived by three sons, Ryan Derek Burgess, Brent Dewayne Burgess, and Devon Michael Burgess, two granddaughters, Linnea and Evangeline Burgess, and one sister Monica Audran. 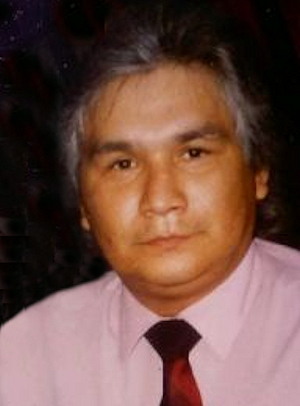 He was preceded in death by his parents, siblings Rodney, Marsha, Monica and Medra Burgess, as well as grandparents Ralph and Vestina (Grant) Burgess.